The above photo might look like an old school Nintendo advertisement, but it was actually taken quite recently on the set of the upcoming Marvel film, Avengers: Endgame. 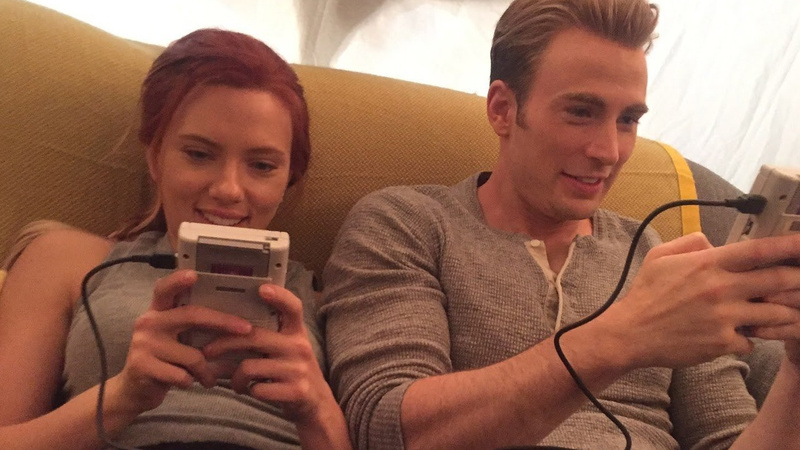 This image was shared on Twitter by the Hulk (Mark Ruffalo) and shows Captain America (Chris Evans) and Black Widow (Scarlett Johansson) on a couch together enjoying a two-player Game Boy session with the assistance of a Link Cable. According to IGN, the game they're playing is Tetris which was first released on the device in 1989. If you're not familiar with either of these stars and have somehow managed to avoid hearing about what is expected to be one of the biggest movies of 2019, it concludes the epic battle between Thanos and Tony Stark's team of heroes. Later this year, you'll also be able to take control of Captain America and Black Widow when Marvel Ultimate Alliance 3: The Black Order arrives exclusively on Nintendo's hybrid device. Until then, you can always enjoy the free-to-play battle royale game Tetris 99 for a much more modern Tetris fix.